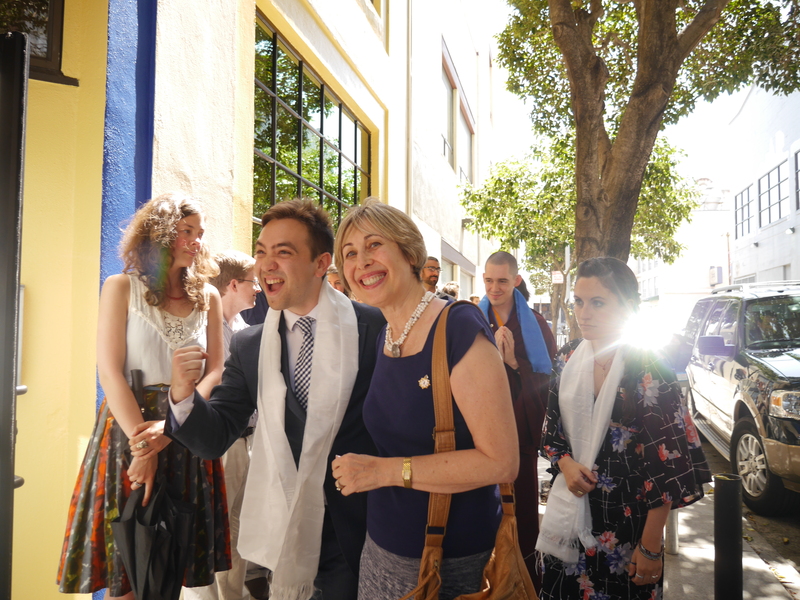 At an historic gathering, Sakyong Mipham Rinpoche attended an international gathering of young Shambhala practitioners at the recent Ziji Collective International Summit held in San Francisco. Sharing his vision for the future of Shambhala and the Ziji Collective, the Sakyong spoke of the importance of leaders and mentorship as we move forward into the future. His words echoed a major theme of the summit: the time is NOW to take our meditation off the cushion, out of the centers, and into the world. Overall, the Summit was energizing and inspiring. This Ziji Collective International Summit was a gathering of creative young Shambhalians from across the country and the world. 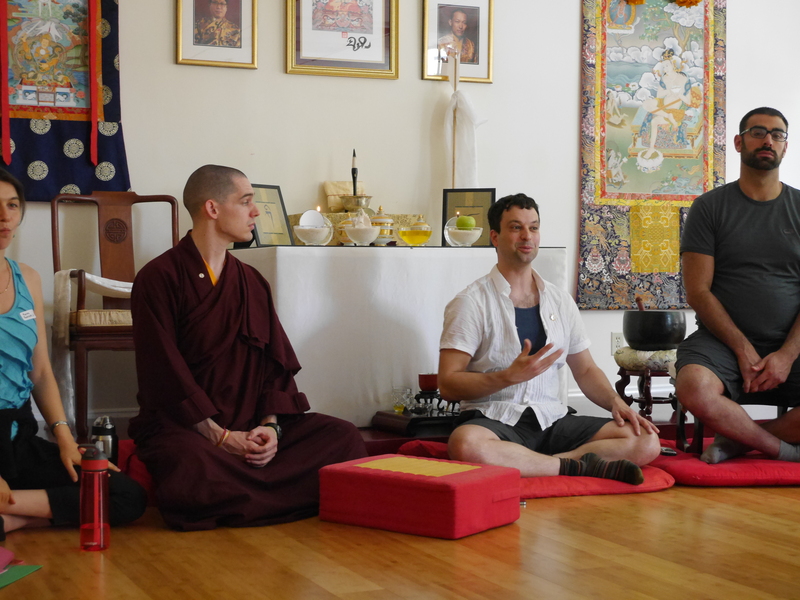 Graciously hosted by the San Francisco Shambhala Center, this event allowed leaders of Young Meditators Groups and Ziji Collectives to connect and share their experiences and ideas about new ways to bring our practice off the cushion and into our communities. The evening before the Sakyong’s address, we came together to hear a talk by Ziji Collective founder Alex Van Gils. He discussed the question, “What is Ziji?” and shared the story of the group’s origin as a movement for social change. While contemplating these words, we participated in Ziji Speed Dating, briefly sharing our names and aspirations for the summit with many members of the assembly. We soon adjourned for snacks and conversation before resting to prepare for a big day ahead. Thursday morning arrived with an atmosphere invigorated by a collective positive force. After a delicious breakfast, chants and lhasang were lead by Loden Nyima, an attending monk from Gampo Abbey. With our energies roused we headed to our choice of rotating workshops. 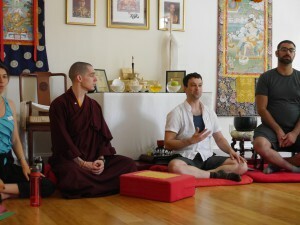 Shastri Nick Kranz lead a group in the practice of Social Meditation, a newly evolving way to experience meditation as a form of cultural interaction. Others joined Shastri Gayley to explore the art of “Salons,” a practice of listening and engaging that can facilitate meaningful cultural and social conversations. Ziji Leader Katrin Welsh lead a third group in a creative discussion about supporting and expanding Shambhala culture in our Ziji events. Following the Sakyong’s address to the summit attendees, the Sakyong gave a talk to assembled California and regional leaders, sharing with them his vision for the future (see coming articles about Being Brave). On the final morning of the Ziji Summit Acharya Melissa Moore lead us in experiential meditation and presented a talk called Finding Your Voice. Her presentation centered on conflict resolution, particularly dialoguing about the generation gaps in the sangha and the challenges of working in an environment where meditation is not part of the culture. Following this, Alex Van Gils shared his remarks on governance before leading us in our last activity, an impromptu “Sparks Activate,” designed to create a forum for those with projects and ideas to garner support and inspiration. 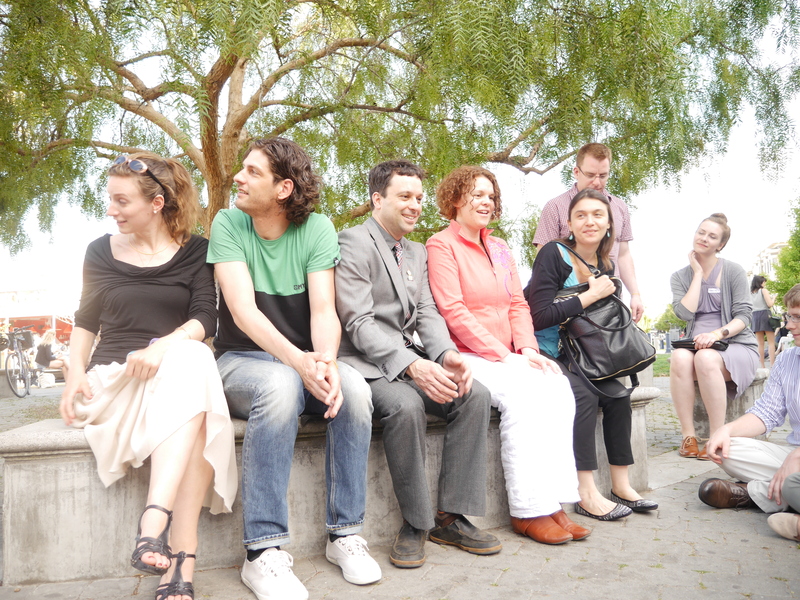 Throughout the workshops, discussions, and talks, the true spirit of the Ziji Collective shone through. The summit was a manifestation of the power we have as a group and the energy we can create together. Look for a Ziji Collective near you. Click here.